This is a project I have been meaning to tackle for some time now. This is my son's 5 string Samick bass guitar. This guitar was purchased from Mark Forester of www.forestersgospelmusic.com and www.moonlightmusicproductions.com and has been used an many gospel recordings. There are two reason why I tackled this project. Number one, I love photography and this was a fun challenge and something to do. Second, I told Mark that I would probably take on this project and send him some pics. The lighting on this is very home made with several cheap construction clamp lights with a diffuser in front of it. I shot this on my living room floor. Note to my son, we need to dust it off before photographing it again. 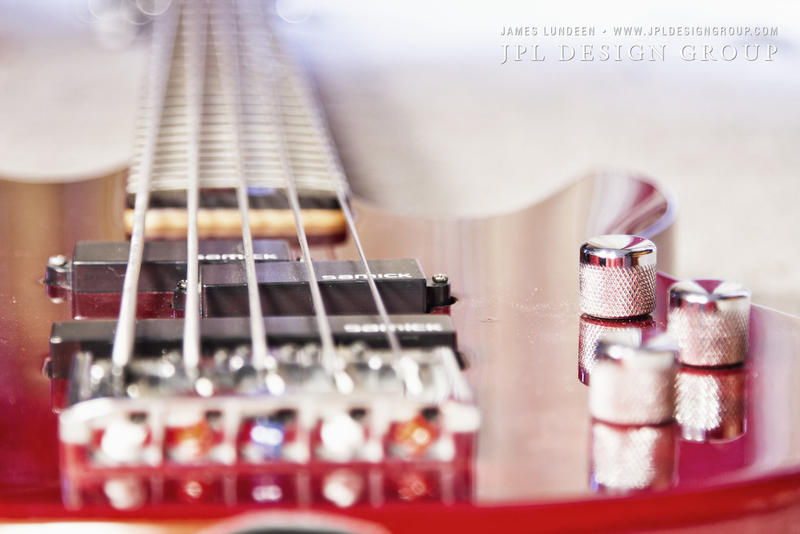 The guitar was laid on the floor with my tripod set down pretty low. By the way, I love the tripod that I am currently using, It is a Promaster XC525.